Active learners reflect on information and think critically. Being reflective is an important part of active learning because it means that you are thinking about the information. In other words, you are processing the information. You may make connections between the new information and what you already know, identify concepts that you may not understand very well, or evaluate the importance of what you are reading. An active learner reflects constantly. In contrast, passive learners may read the text and listen to lectures, and even understand most of what is read and heard, but they do not take that crucial next step of actually thinking about it. Active learners are engaged learners. They listen actively to the professor for the entire class period and they write down as much information as possible. You must think about the information before you write. Active learners know that learning involved more than simply putting in time. Most students know about the importance of having good time-management skills and expect to invest time in studying in order to be successful. But just putting time into studying is not enough. It is the quality if that time- why you actually do with it- that makes the difference. Active learners get assistance when they are experiencing problems. Because active learners are constantly monitoring their understanding, they know when their comprehension breaks down, and they ask for help before they become lost. 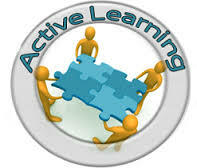 In addition, active learners often predict the courses that may give them trouble. They have a plan in mind for getting assistance should they need it. Active learners may hire individual tutors, take advantage of free peer tutoring, or seek assistance from their professors. Although passive learners may seek help at some point, it is often too little too late. In addition, because passive learners do not reflect and think critically, they often don’t even realize that they need help.